Actually, the "Momo" one is very similar to a Sifaka lemur. So you could probably get away with using that one seeing as it looks very similar to what they look like. Lovely designs! I really enjoy the large eyes with no visible whites and the long, pointy ears. 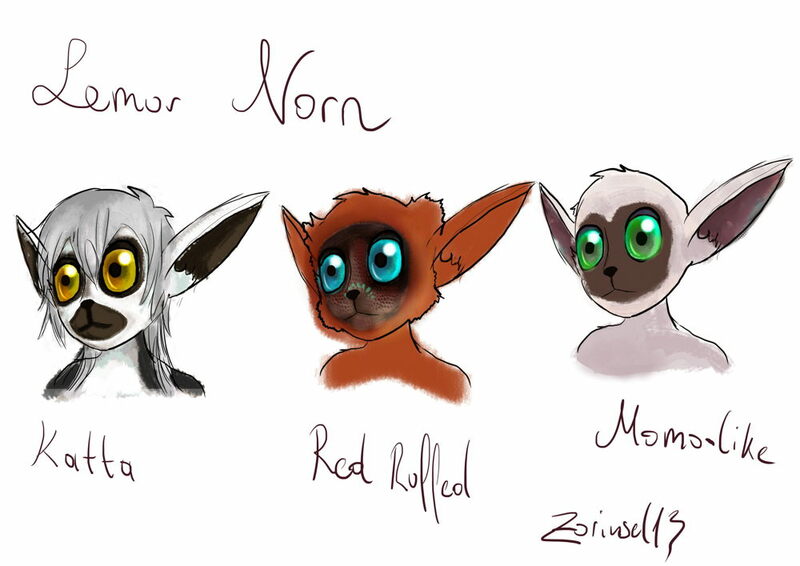 I favor the red one the most, as the momo is "copyrighted" and the ring-tail is such a famous species. Aww thank you I am glad that you like them! I really like the one on the right, but then again, I am a sucker for siamese norns too.